WASHINGTON — A Senate appropriations subcommittee approved a spending bill July 25 that would provide NASA with $19.5 billion, striking a middle ground between the administration’s original request and a more generous House bill. The commerce, justice and science subcommittee (CJS) approved the bill in a brief markup session, delayed by more than an hour due to a procedural vote on the Senate floor about healthcare legislation. The full Senate Appropriations Committee is scheduled to mark up the bill July 27. While the committee has yet to release the bill, the summary of the bill notes it provides $19.53 billion for NASA, $437 million above the administration’s request for fiscal year 2018. That amount, though, is about $340 million less than what’s offered the House version of the CJS bill, passed by House appropriators July 13 and pending consideration by the full House. The bill summary addresses some of those issues. 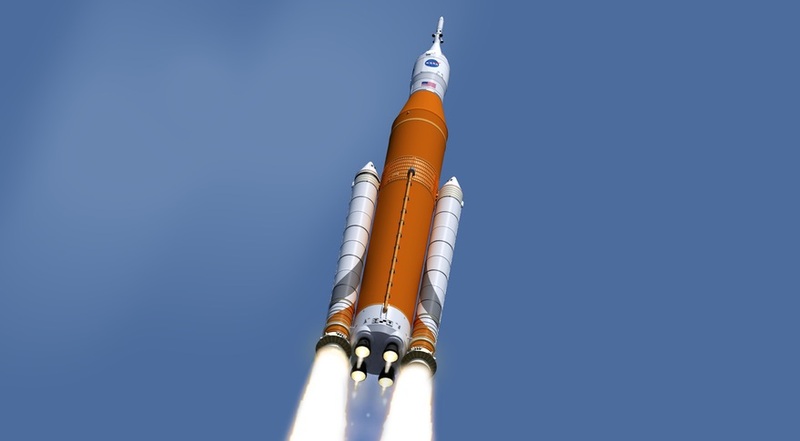 The bill provides $2.15 billion for the Space Launch System, $212 million above the request and identical to the amount in the House bill. It also provides $1.35 billion for the Orion crew vehicle, $164 million above the request and again identical to the House bill. The bill also provides $100 million for NASA’s Office of Education, which the administration sought to close in the request despite bipartisan criticism. The House offered $90 million for the office, also rejecting the administration’s plans. Few other details about the budget were included in the summary. NASA’s science programs would receive $5.57 billion, $140 million below the request and nearly $290 million less than the House bill. The summary did not break down how that funding would be allocated among NASA’s various science divisions and the development of the James Webb Space Telescope. The National Oceanic and Atmospheric Administration’s two major programs, the Geostationary Operational Environmental Satellite R (GOES-R) and Joint Polar Satellite System (JPSS), would receive “full funding.” The White House requested $518.5 million for the GOES-R program and $775.9 million for JPSS. That full funding, Shelby said in his statement, extended to the Polar Follow-On program, which supports development of the third and fourth JPSS satellites. It wasn’t clear what constituted full funding for that program, which received $328.9 million in 2017 and was previously planned to get $586 million in 2018. The White House request sought only $180 million for the program, which it plans to delay and restructure. The House bill provided only $50 million for Polar Follow-On, citing a lack of details about that proposed restructuring.